The U.S. and North Korea are also discussing a joint statement announcing the end of the Korean War, in which a cease-fire agreement has been in effect since 1953. The move would be symbolic, without a formal peace treaty. However, some fear that it would open the way for North Korea to demand that Trump remove troops from South Korea. Kim’s regime is believed to have as many 65 nuclear warheads. A recent analysis by Stanford University estimates that the regime has produced enough nuclear fuel to make five to seven new bombs since denuclearization talks with the Trump administration began. 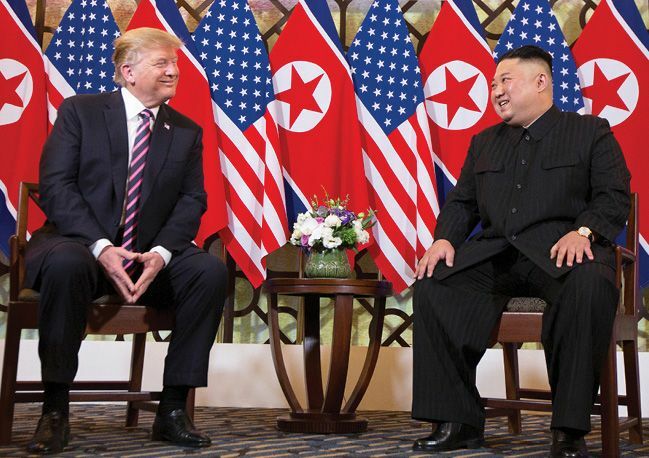 Let’s temper our expectations for this or any North Korea summit, said Heather Hurlburt in NYMag.com. “The future will be all about learning to live with them and finding ways to increase their transparency, predictability, and safety.” At this point, no administration could get North Korea to give up its nuclear weapons. Trump doesn’t really expect Kim to do that, and he “has sought to decouple expectations of summit ‘success’ from actual progress on denuclearization.” Even a small advance would be, in Trump’s words, “very tremendous,” and enough for Trump to declare a win.